There is no greater service than the one provided by men and women who have served the United States in a branch of military. Show the veteran in your life your appreciation by offering them one of these amazing and sometimes emotional gifts. Many veterans are humble about their time spent in the military, to them it was just their calling and duty. 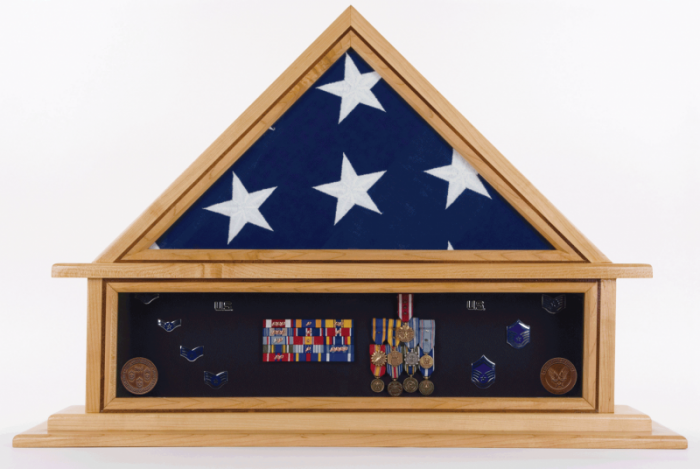 Memorialize their contribution by providing them with a shadow box or display case. Encourage the veteran to showcase their medals, badges or coins. If you have ever heard servicemen or women discuss their time in the military, you have probably noticed they have a familiarity with the same locations and tools they used during their time served. To non-servicemembers, we can only imagine these places, but to them, the bases and posts where they served were a way of life during their time serving our country. Frame a picture of an aerial shot of the base or their favorite tool or vehicle they used during their terms. Dog tags are issued to every service member as they enter the military. However, the hustle and bustle of everyday life can make it easy to misplace them once their back home. Do your veteran a favor by surprising them with a replacement set. Surprise your veteran with awesome books regarding today's military as well as the country's history. Reading up on the changes today's service men and women are making will be an interesting read and create feelings of understanding and bonding. Find a charity who supports the military and make a donation in your veteran's name. Your donation can make a difference in the lives of troops overseas, those recovering back here at home and the families with a member on deployment. Here are a few charities to consider.